In the old west, a captured fugitive uncovers a conspiracy aboard a train headed for a cavalry fort. Across multiple genres, the train proved a popular setting for movies throughout the 1970s. Peter Cushing and Christopher Lee found themselves sharing a ride with a defrosted alien in 1972's Horror Express. Gene Wilder and Richard Pryor boarded the Silver Streak, destination laughsville. Beneath the streets of New York City, Pelham 123 was taken by Robert Shaw's hijacker. Lee Marvin and Keith Carradine's hoboes evaded Ernest Borgnine's violent railroad enforcer in Emperor of the North. Then of course there were the ensemble dramas - Murder on the Orient Express; The Lady Vanishes; The Cassandra Crossing - which packed their poster filling rosters of stars, usually a mix of aging Hollywood holdovers and rising talent, onto their locomotives. 1975's Breakheart Pass, scripted by Alistair MacLean from his novel of the same name, resembles the latter, but with character actors taking the place of one-time matinee idols, combining a trainbound mystery with the western genre. Charles Bronson is the headline star, at the peak of his powers a year after Death Wish. He brings his quiet spoken, steely-eyed schtick to the role of Deakin, a wanted fugitive picked up by Ben Johnson's Marshal Pearce when he's caught cheating at cards. Pearce and Deakin board a train headed for Fort Humboldt, a cavalry outpost which has become stricken by an outbreak of dyptheria. Also aboard are the shady Governer Fairchild (Richard Crenna) and his trophy squeeze Marica (Jill Ireland); a detachment of cavalry troops led by Major Claremont (Ed Lauter); and various potential ne'er do wells. One by one, passengers and engineers begin to get bumped off, and as is customary in this type of tale, Deakin has his binds removed so he can apply his skills (he possesses a background in medicine among other talents) to solving the mystery of who is behind such skullduggery. Behind the camera, Breakheart Pass boasts some impressive names with pedigree in the western genre. Tom Gries had directed Charlton Heston and Raquel Welch respectively in Will Penny and 100 Rifles. Second unit director and stunt coordinator Yakima Canutt had derailed a train for Howard Hawks five years earlier in Rio Lobo, and would repeat the same trick here. Cinematographer Lucien Ballard was the go-to cameraman for Sam Peckinpah and Henry Hathaway. Jerry Goldsmith's score recalls his genre work on Rio Lobo, 100 Rifles and The Ballad of Cable Hogue. 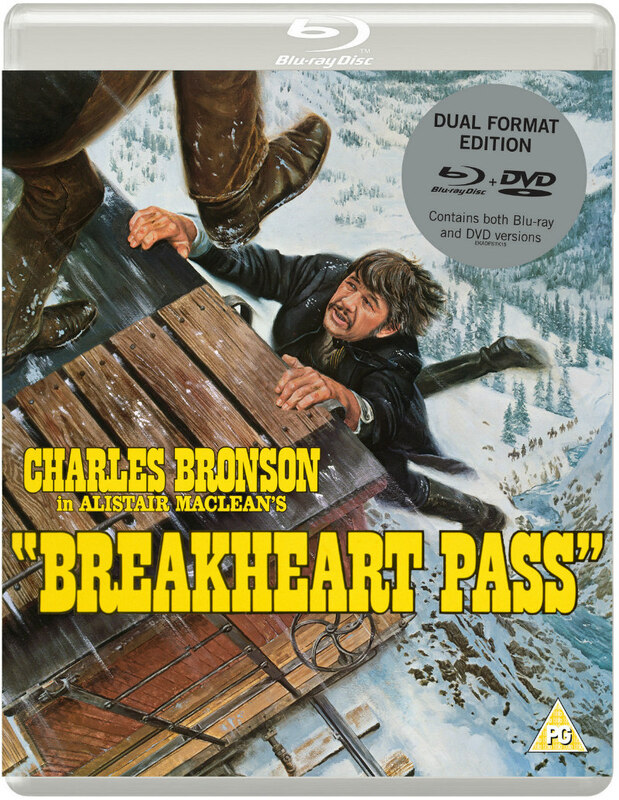 Yet aside from the climactic set-piece, which sees Bronson and Lauter defending the train from marauding Injuns, Breakheart Pass has more in common with the mystery genre than the western. The trouble with the whodunnit format is that denying the audience the knowledge of whom the villains really are also denies the viewer the emotional thrill of screaming "look behind you!" or "don't trust her!" when the unwitting hero finds himself in the same room as the antagonist. Waiting for the film's cast to piece together the clues is nowhere near as involving for a viewer as being granted access to said clues ahead of the onscreen players. For a whodunnit to succeed, it usually relies on an enticing roster of involving characters - think of the aristocratic eccentrics who populate the world of Agatha Christie. Despite being inhabited by a talented group of character actors, none of the personalities assembled in Breakheart Pass are particularly interesting, and MacLean's dialogue rarely rises above functional, his interests as a storyteller seeming to shun character development in favour of the sort of plot twists that will surprise only the most unseasoned of western viewers. The combined work of the aforementioned Ballard, Goldsmith and Cannutt, and the performances of its grizzled, stubbly cast make Breakheart Pass a mildly enjoyable ride, but if you're seeking either a western or a mystery, it's far from the first movie I'd recommend you choo choo choose. Aside from the theatrical trailer it's just an interview with the always infectiously enthusiastic critic Kim Newman, who skirts around the quality of Breakheart Pass to discuss its place in '70s cinema and the oeuvre of MacLean. 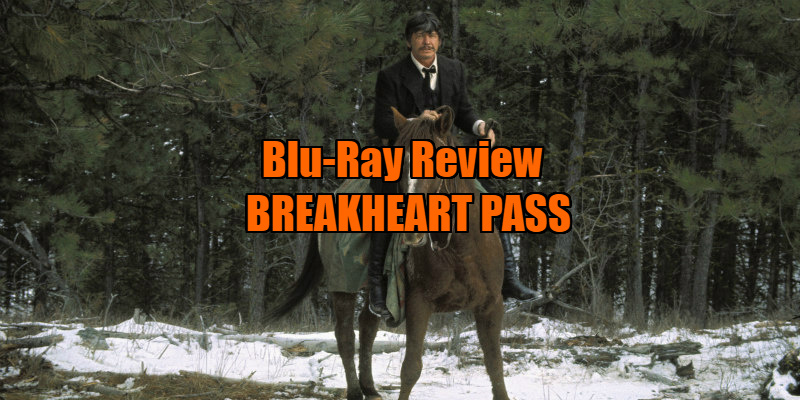 Breakheart Pass is released on dual format blu-ray/DVD by Eureka Entertainment on May 21st.